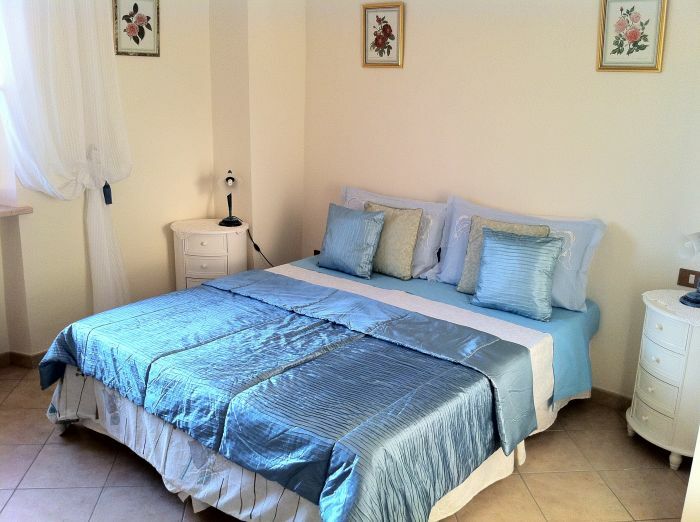 Luxury B&B in the Abruzzo hills, close to beach resorts. 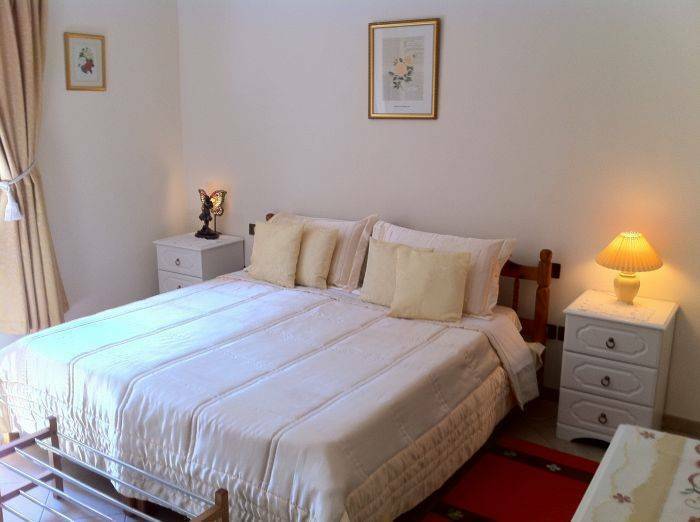 Casa Christiana offers it guests Luxury rooms furnished to a high degree of comfort with outdoor swimming pool. All rooms come with Minibar and WIFI access and guests private TV lounge. 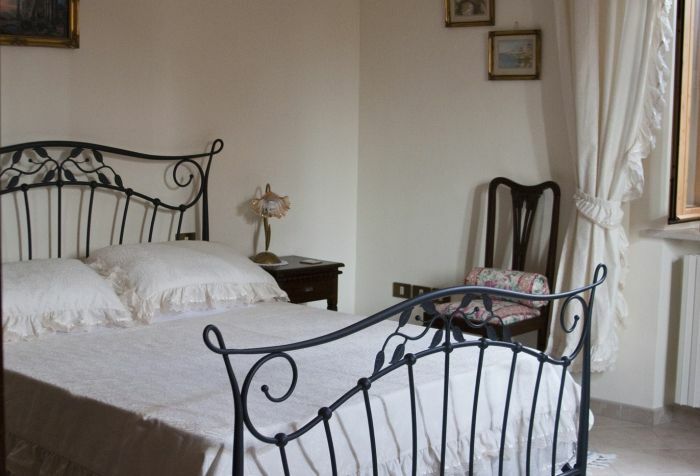 All rooms have spectacular views towards Gran Sasso or the wonderful Abruzzo hills. 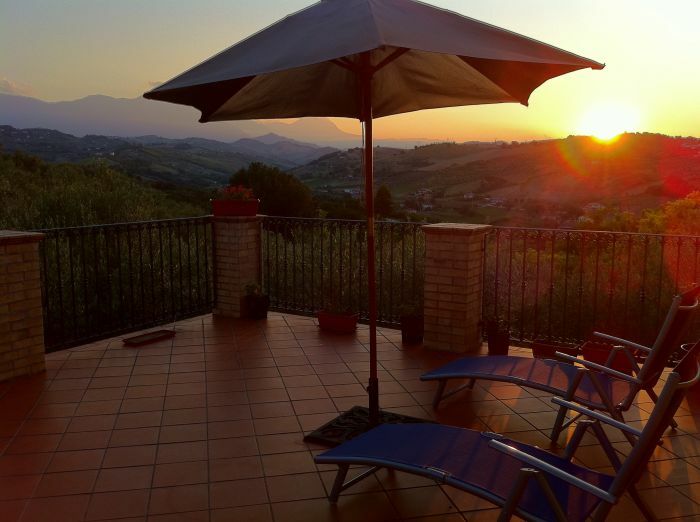 Guests also have their own sun terrace with views to Gran Sasso set amongst our olive groves. 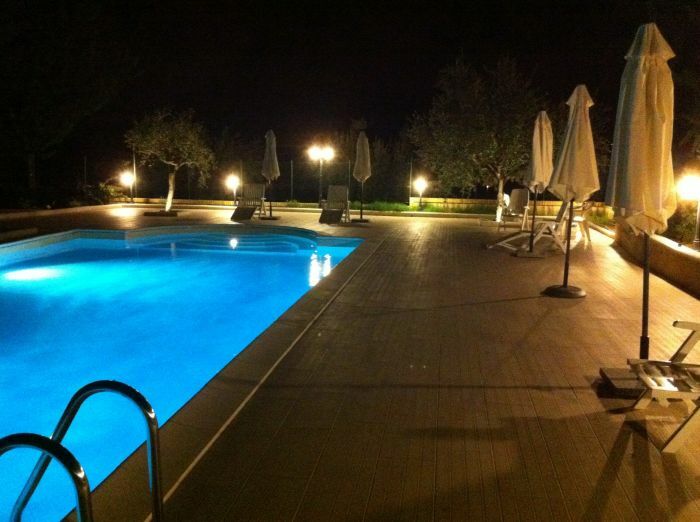 Beach resorts such as Silvi Marina, Pineto and Montesilvano are a 10-15 minute drive away. Enjoy wonderful restaurants close by that offer up to 10 courses of amazing Italian for under 20euros per head including wine and coffee! Discover the truly unspoiled and hidden part of Italy that offers a true experience of the Italian culture and food in the most amazing setting. All rooms furnished to a high degree of luxury with beautiful linens and furniture. Minibar in Rooms. All rooms have views towards Gran Sasso mountain range or our olive groves. 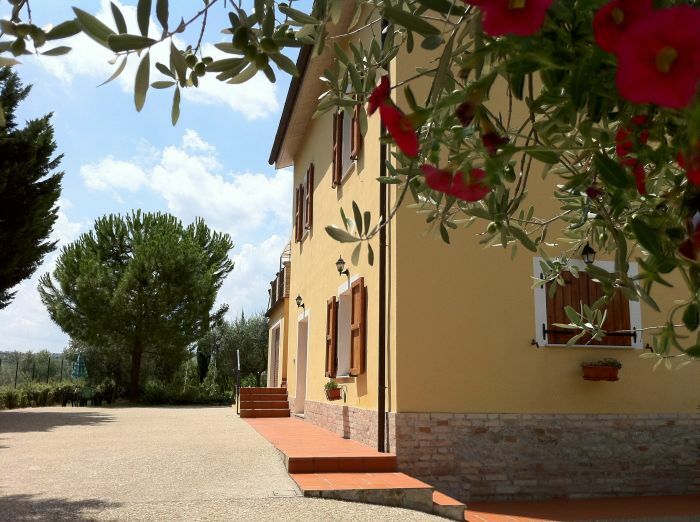 Casa Christiana is set in the countryside but still close to all the major towns of Abruzzo. It is a idyllic hideaway full of charm and character offering guestsa beach holiday with blu flag beaches like Silvi Marina close by mountain hiking, skiing, walks in the 2 national parks here, local horse riding arranged. Family run Restaurant with Pizza oven and great food. 10% discount on stay for 5 days or more. 10% deposit of the total booking cost is required to make your reservation with us. Guests must notify and cancel their booking 7 days before their arrival. Autostrada exit is Pescara north, Citta Sant Angelo. Turn right and follow signs to Elice/Penne for 10 minutes until a town called Quattrostrada. Then call me and Ill come to meet you. Buses can be picked up from Piccianello our local village into all the major towns such as Montesilvano and Pescara. Train terminals can be taken from Montesilvano.